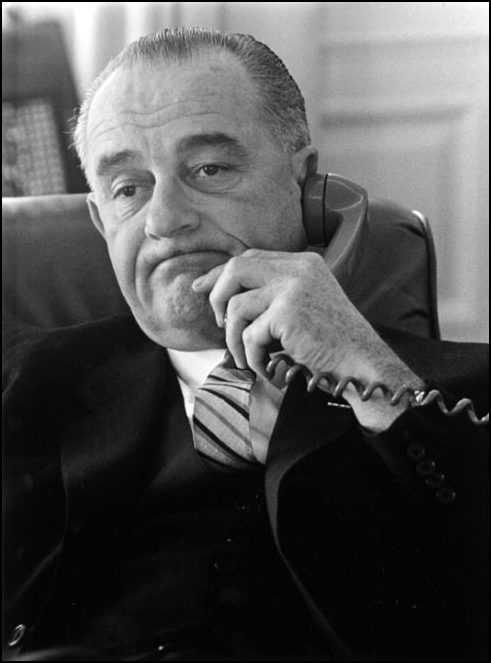 This site contains audio excerpts and transcripts of around 60 conversations from Lyndon Johnson’s secretly recorded telephone calls related to the 1964 election. The pages below also include photographs from the campaign, television ads used by both sides, and various other items of political paraphernalia. The site is divided thematically rather than strictly according to the chapters of All the Way with LBJ. I have provided a minimal introduction to most of the clips; readers can find far more detail in the book. All audio clips and transcripts were prepared by me. Full digitized files of all the publicly available Johnson conversations (as well as those of John Kennedy and Richard Nixon) can be found at the Presidential Recordings Program, Miller Center of Public Affairs, University of Virginia. This entry was posted on June 15, 2008 at 12.11pm and is filed under Uncategorized. You can follow any responses to this entry through the RSS 2.0 feed. You can leave a response, or trackback from your own site.